I love taking Bentley to the beach, we seem to go everyday! 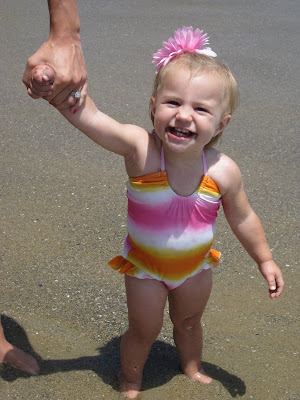 She loves looking for sand crabs and and splashing in the waves! If you even start to dig a hole she'll come sit in it and laugh! 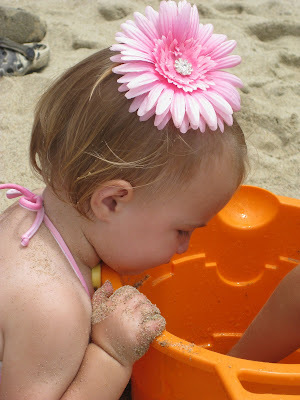 She eats a lot of sand since she can't keep it off her hands and won't let me feed her. She is a very big girl and can do anything that the older kids can do.....or so she thinks! 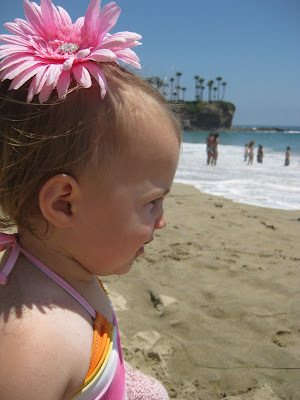 I love my little beach baby! This is Bentley's Buppy. She goes everywhere with us! Beach days are the best! 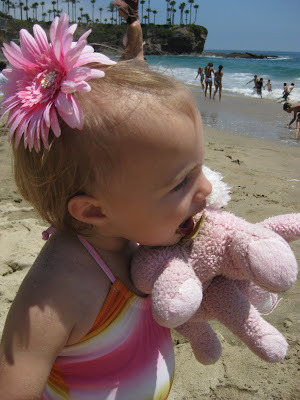 I love being at the beach with Miss Bentley! Oh, I just love that little Bentley baby! She is so cute and such a sweet personality! I love the beach, too. I'm so glad we've been able to spend some of those great beach days together. Here's to more to come! p.s. Mak looks so poised and elegant in her ballet recital pics. Adorable! 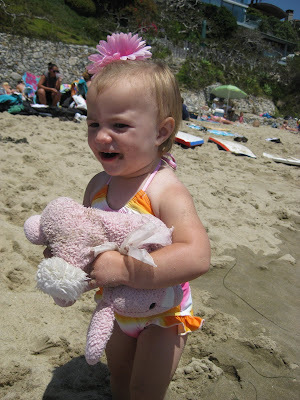 She is so cute with her bow and little stuffed animal, precious!